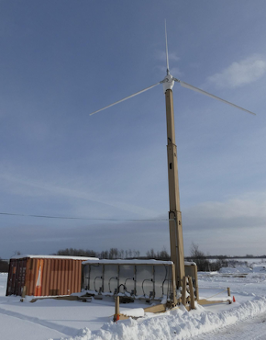 The Renewable Energy Mission Module (REMM) is a project originally designed by Oshkosh Defense for the United States military as a source of renewable energy in remote locations. We are working on a complete redesign to modernize the control structure, optimize the generation ability, and apply it to disaster relief operations. This new REMM would be able to supply power to critical buildings, such as a hospital during a natural disaster, as well as help provide power for natural disaster relief efforts. This would allow more sustainable and reliable power to those who are counting on it for life saving equipment. This semester, our team has been working on an overall design of the hardware, transmission, and communication system and is currently starting to assemble plans for a system prototype. This includes a power analysis, life cycle assessment, and safety procedures.